2 How Purium Products Works? 6 How to use Purium? Purium Company is a direct multi-level marketing company that was founded in 1994. 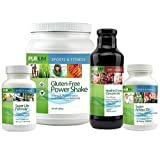 Purium is one of their major products that are formulated to enhance weight loss, other products from Purium include herbal Fiber cleanse, Purium Control Whole Food Meal, and a 10-day Transformation kit. Purium helps to lose weight when it is taken on a daily basis. The CEO of Purium company is David Sandoval; he doubles as the Chief science officer, he is a wellness expert, lifestyle coach, and a whole foods nutrition advocate. Purium is sold as a 10-day transformation kit formulated to reset and detoxify your body metabolism. Purium’s weight-loss kit comes with fruit concentrates, a meal-replacement shake, cleanse, electrolytes and amino acids. With this kit, it is guaranteed that in ten days, the body would have adopted a new method of burning and converting fat it into energy. 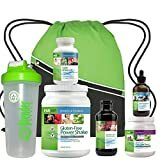 The key ingredients in this product help to build and support the muscles, acts as an antioxidant, and also supports hydration, so the 10-Day kit will help to reorient your body to metabolize fat and enhance your body metabolism to achieve enhanced and sustainable weight loss. The Super CleansR in this products contributes to eliminating excess fats, while the Super Lytes helps to increase hydration. Both the Super Lytes and Super CleansR help to make the cleaning process more pleasant and efficient. 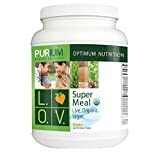 The majority of the ingredients contained in Purium are not necessary; for example, a potential meal that is rich in protein can replace amino acids, the electrolytes are not essential as well and will not have made any difference if it was not included among the ingredients that Purium is made of. Purium also contains several laxatives which can affect the digestive system. During this 10 day kit, you will be unable to eat anything except pills, shakes, and liquid formulas. This might not be very good as it will provide limited calories for the body. Apothe-Cherry: Apothe-Cherry is majorly composed of antioxidants melatonin and tart cherry that keep the body recharged and enables you to feel relaxed properly. 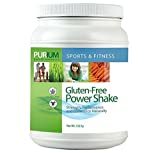 Purium’s Power Shake: This is a naturally sweetened blend of oat grass, taking Purium’s power shake is similar to taking a daily dose of veggies. Complex carbohydrates: Complex carbohydrates suppresses your appetite and also supplies your body with the necessary nutrients at the same time. Immune system damage, fatigue, and weakness. Diarrhea, muscle cramps, and vomiting. Headaches, organ damage, and death. It will help you to lose weight in the short term if you can stick to the ten days plan. If you need a refund and you fail to act within 60 days of buying the product, your request will not be accepted. Purium is easy to use, all you need to do is follow the instructions as stated or labeled on each package. It is taken on a daily basis, the 10-day kit also carries all necessary information to be followed in using the supplement. No scientific evidence establishes the fact that this product works positively and sometimes they may be some unpleasant side effects. Some of the side effects include stomach upset, vomiting, nausea, diarrhea, high blood pressure, cramps, mood swings, thirst, mental disturbances, kidney disorders, allergic reaction, and bad dreams. Another side effect that is common with using Purium is gastrointestinal discomforts. There has been no evidence to show that relying on these products for weight loss is effective and safe. In the Meantime You can check the most popular weight loss pills those don’t have such side effects. Check This Out! Till date, there are still concerns raised about Purium as it has not been scientifically proven that it does not have side effects on the human system. Purium’s weight-loss kit comes with a meal replacement shake, amino acids, and electrolytes. None of all these products have been clinically proven to guarantee that you lose more weight. Also, there are no known links to scientific research that has been carried out by the makers of Purium to prove its efficiency and ability to not have any adverse health effect. If the producers of Purium can provide links and results to scientifically show that the product can help to achieve weight loss without any side effect, then it will clear all doubts people have about this product, this will also boost customer confidence in using the product. In conclusion, it is pertinent to know that the number of weight loss that the Purium health products claims are unrealistic as it has no facts to back up the claim. People have also complained that Purium is expensive compared to the benefits its customers stand to gain when they buy the product. Considering the fact that there is no scientifically proven weight-loss evidence or record, I think it is good to weigh one’s option before settling for Purium. 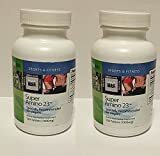 From all the concerns those who have used this supplement have raised then it is evident that in as much as it can help in losing weight, it can as well have some adverse effects on the body system. Previous article Keep your lifestyle! Learn How to lose weight?